Large registries and epidemiologic studies have demonstrated that elderly patients (≥ 75 years old) represent a growing proportion of the acute coronary syndrome (ACS) population and are exposed to a high risk of both bleeding and ischemic events. In this setting, most of the randomized trials excluded elderly patients while evaluating therapeutic strategies in ACS and only few trials specifically dedicated their design to the elderly population, leading to a paucity of data. 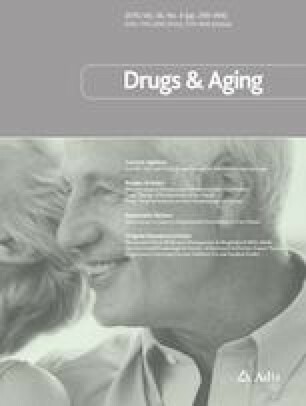 Elderly patients are less likely to be treated with an invasive strategy or potent antithrombotic drugs compared with younger patients, while they are exposed to a greater risk of mortality. Nevertheless, the benefit of an invasive approach in ST-segment elevation myocardial infarction (STEMI) has been consistently demonstrated in non-dedicated large percutaneous coronary intervention randomized trials, regardless of the patient’s age. European clinical practice guidelines recommend that STEMI in elderly patients should not be treated differently than in younger patients. However, the therapeutic decision should be based on a combined evaluation of both (1) the patient’s frailty, including functional or cognitive impairment, and (2) the balance between bleeding and ischemic risks. This review outlines the evidence on the optimal reperfusion and antithrombotic strategies among STEMI elderly patients, suggesting a patient-centered approach to apprehend the balanced therapeutic decision in the very old patient. No sources of funding were used in the preparation of this article. B. Lattuca has received research grants from Biotronik, Daiichi-Sankyo and Fédération Française de Cardiologie; consultant fees from Daiichi-Sankyo and Eli Lilly; and lecture fees from AstraZeneca and Novartis. M. Kerneis has received research grants from Sanofi, Institut Servier and Fédération Française de Cardiologie; consultant fees from Bayer and AstraZeneca. M. Zeitouni has received research grants from Institut Servier and Federation Française de Cardiologie. G. Cayla has received consulting and lecture fees from Abbott Vascular, AstraZeneca, Bayer, BMS, Boehringer-Ingelheim, Boston Scientific, CLS Behring, Daiichi-Sankyo, Eli Lilly, Iroko Cardio, Novartis and Pfizer. P. Guedeney reports no financial relationships or conflicts of interest. J.P. Collet has received research grants or honorarium from AstraZeneca, Bayer, Bristol-Myers Squibb, Daiichi-Sankyo, Eli-Lilly, Fédération Française de Cardiologie, Lead-Up, Medtronic, MSD, Sanofi-Aventis, and WebMD. G. Montalescot has received research grants or honorarium from Abbott, Amgen, Actelion, AstraZeneca, Bayer, Boehringer-Ingelheim, Boston-Scientific, Bristol-Myers Squibb, Beth Israel Deaconess Medical, Brigham Women’s Hospital, Cardiovascular Research Foundation, Daiichi-Sankyo, Idorsia, Lilly, Europa, Elsevier, Fédération Française de Cardiologie, ICAN, Medtronic, Journal of the American College of Cardiology, Lead-Up, Menarini, MSD, Novo-Nordisk, Pfizer, Sanofi, Servier, the Mount Sinai School, TIMI Study Group, and WebMD. J. Silvain has received consulting fees from AstraZeneca, Bayer, Boehringer-Ingelheim, Gilead Science and Sanofi-Aventis; speaker honorariums from AstraZeneca, Amgen, Bayer, Algorythm and Sanofi-Aventis; and travel support from Amgen, AstraZeneca, Bayer and Bristol-Myer Squibb.